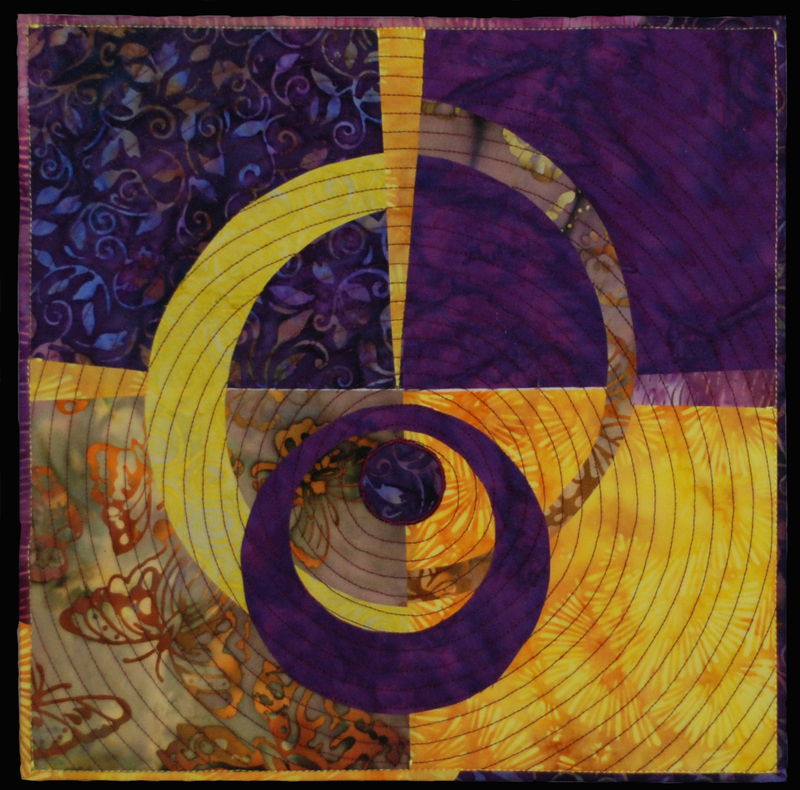 Joanne Alberda, Time Space and Motion (purple/yellow), framed fabric collage. Joanne Alberda, of Sioux Center, was given the Best in Show award during the Charles H. MacNider Art Museum’s Iowa Crafts: 43 (2017) exhibition for her fiber piece, Improvisations on a Square. This award granted Alberda a solo exhibition at the Museum beginning in 2018. Alberda’s exhibition, Blue Marbles, is currently on display in the Museum’s Center Space Gallery. Blue Marbles will be on display through Saturday, January 19, 2019.